Mobile Alabama Personal Injury Lawyer | Lattof & Lattof, P.C. Protecting Injury Victims and the Families of Wrongful Death Victims Throughout Alabama. Speak To A Personal Injury Lawyer Today. A sudden injury can affect every part of a person’s life. Victims will often struggle to find ways to provide for their families, face mounting medical costs, and fight with insurers to get fair payment for their injuries. If the injury has caused the death of a family member, relatives will be expected to meet all of these demands while dealing with a crippling emotional loss. Unfortunately, most injury victims and their families do not fully understand their rights in these situations, making them vulnerable to losses that can affect them for the rest of their lives. The attorneys at Lattof & Lattof goal is to provide Alabama victims with the information they need to get the best possible outcomes in their personal injury claims. Whether your goal is to collect fair payment after an injury, get justice for a loved one, or protect the livelihood of surviving family members, our personal injury lawyers will fight to get the respect and compensation your family deserves. Contact us today to get answers to your injury questions in your free consultation. Car accident. While crashes are commonly referred to as “accidents,” the truth is that someone is usually at fault for causing a collision. If a reckless driver placed you and other road users at risk, we can hold them accountable for any injuries or deaths their actions caused. Slip or fall. Property owners have a duty to ensure that their premises are reasonably safe for public use. Injuries caused by a slip, trip, or fall in a grocery store, shopping mall, parking lot, or other areas where the public may visit can be covered under a premises liability lawsuit. Work accident. An employee who is injured at work should be covered under Alabama workers’ compensation laws. However, some employers may be guilty of safety violations and other negligence that led to an injury or death, making them liable for the high costs of the work accident as well as punitive damages for their wrongdoing. Other injuries. We are proud to represent victims and families who have suffered an injury or death due to someone else’s negligence. Let us examine the details of your case to see who may be held liable for your medical bills and losses. Survivors are often not given the time they need to grieve the death of a loved one before they are forced to consider the economic consequences of their loss. If the deceased earned a large portion of the family’s income or provided insurance benefits, spouses could be placed in the position of losing a home, medical care, or financial stability, as well as a beloved family member. Our attorneys can examine the details of your case to determine whether you may be eligible to file a wrongful death claim. While most states’ wrongful death laws allow families to recover the actual costs of funeral expenses and medical bills of the deceased, Alabama wrongful death law allows the recovery of punitive damages only. If a person or entity is found guilty of causing untimely death, the defendant will have to pay punitive damages to the victim’s estate. Who can file a wrongful death claim. While many states allow the close family members of a deceased person to file a wrongful death claim, Alabama residents may only file a wrongful death claim if they are the personal representative of the deceased person’s estate. Time limits to file a case. The time limit to file a claim, called the statute of limitations, differs state by state. In Alabama, the statute of limitations for filing a wrongful death claim is two years from the date of death. Where a family member passed away. If the deceased person was an Alabama resident, but passed away in another state, it can be difficult to tell which state’s wrongful death laws will apply to the case. Family members and injury victims have enough to deal with without being forced to cope with the financial and legal aspects of their cases. If you are overwhelmed with questions after an accident, a personal injury lawyer can explain your options in a way that addresses your immediate concerns and allows you to take action as quickly as possible. 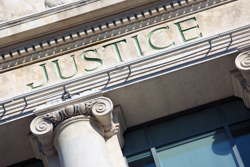 If you choose us to represent you, we charge no fees unless we make a recovery in your case. Give us a call today at (800) 239-2612 or fill out the quick contact form on this page to set up your free consultation.